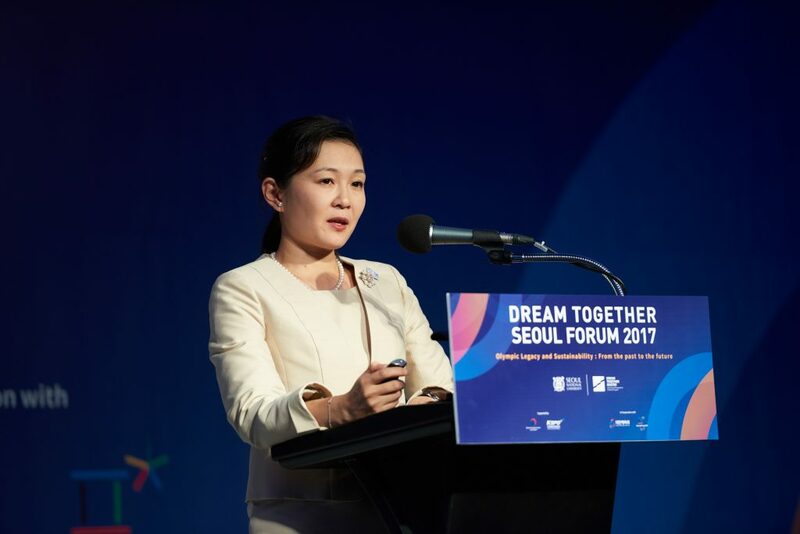 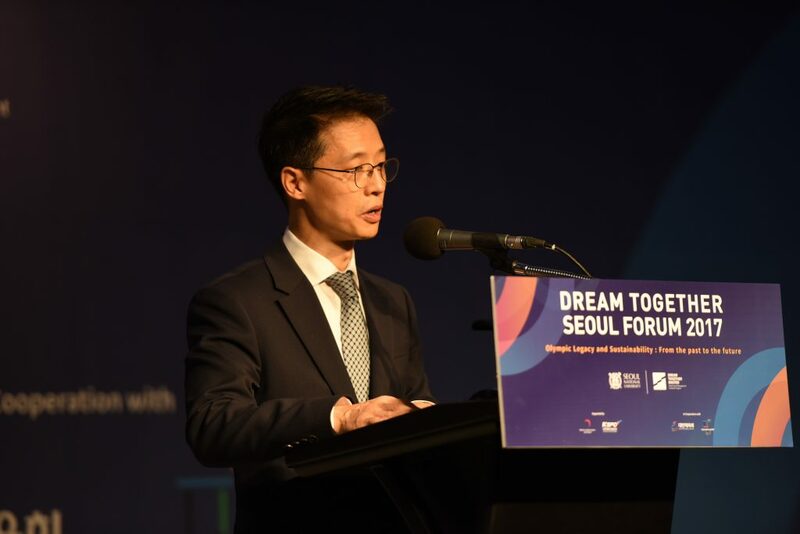 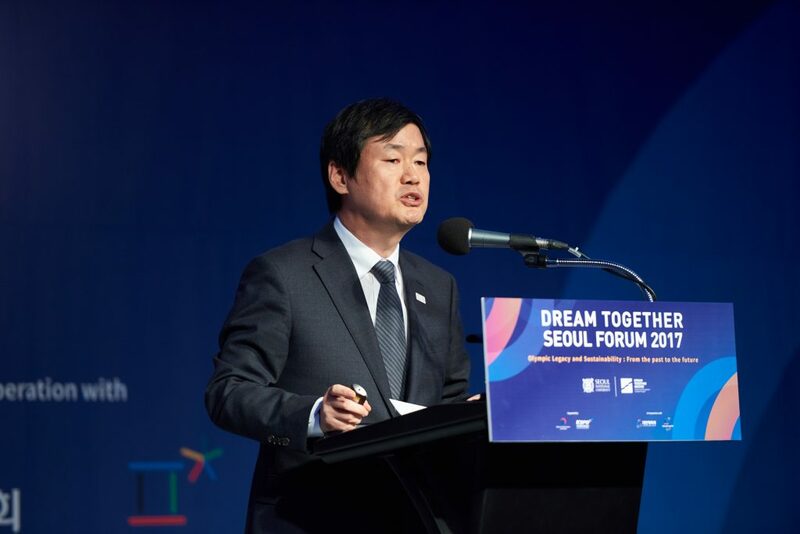 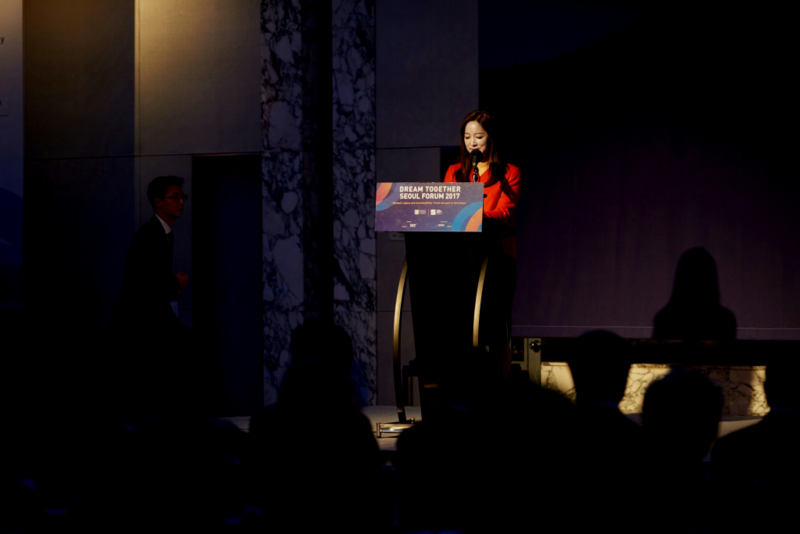 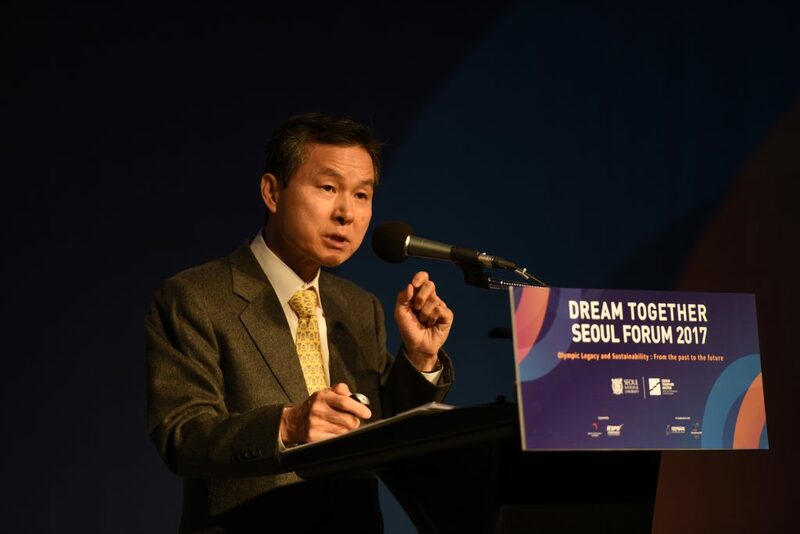 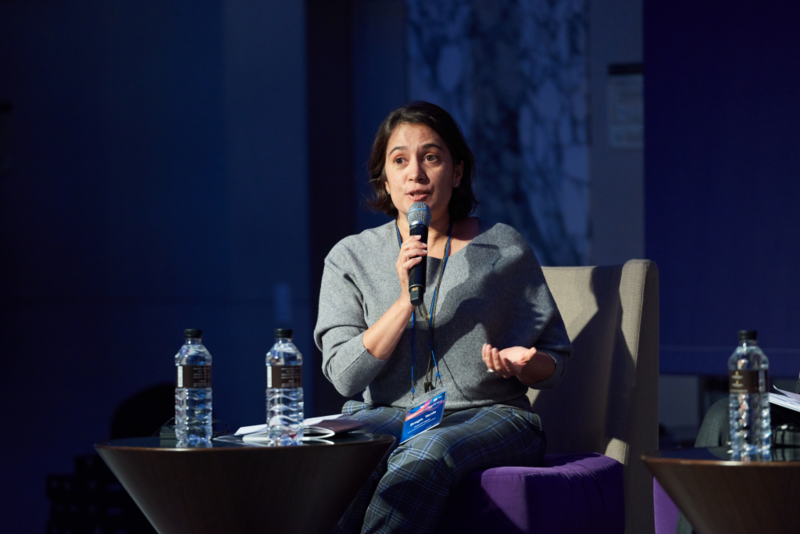 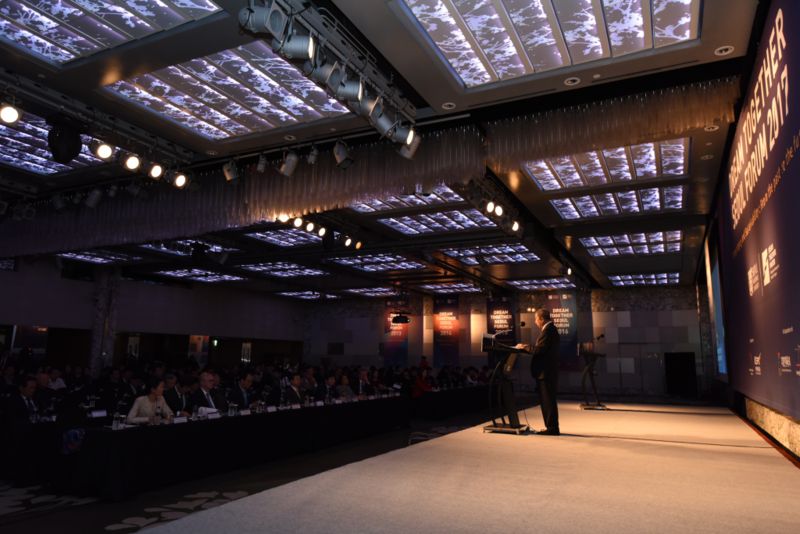 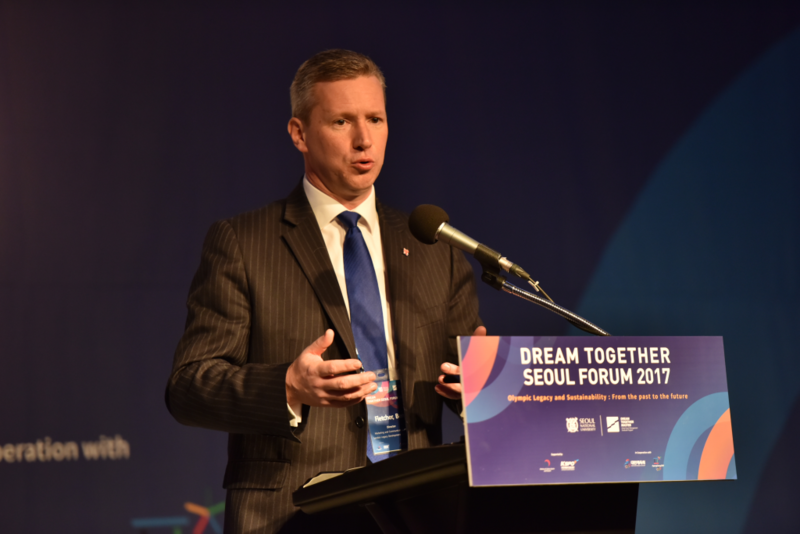 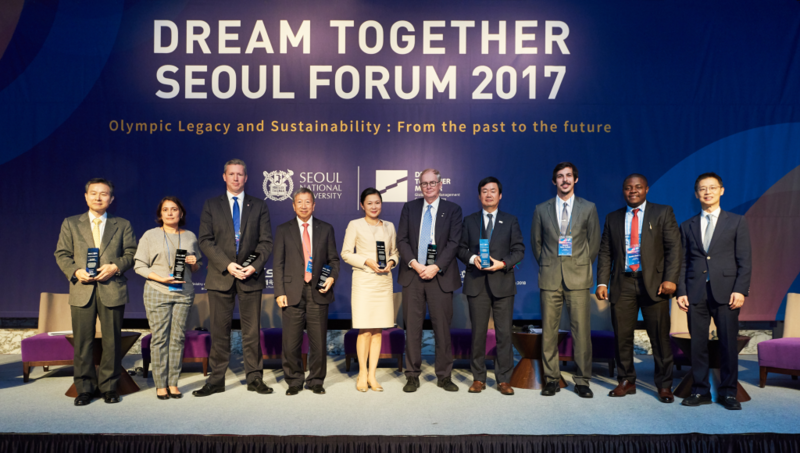 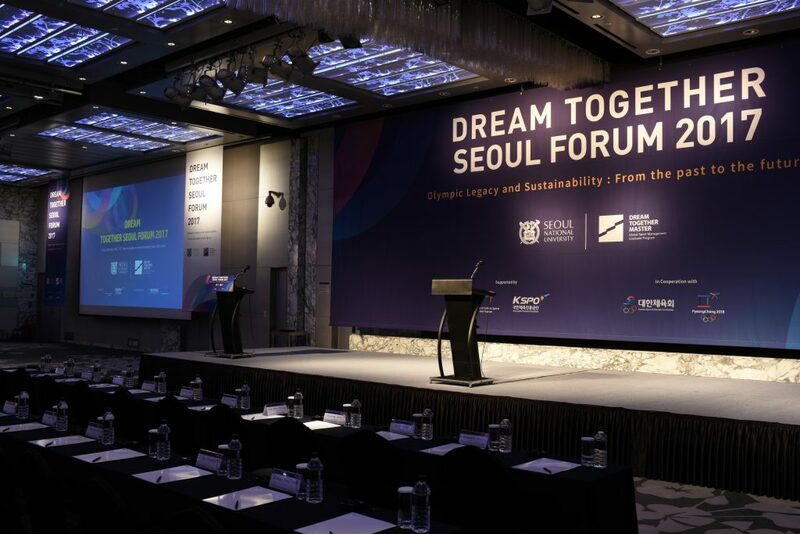 ‘Dream Together Seoul Forum 2017’ focused on “Olympic Legacy and Sustainability” to promote upcoming 2018 PyeongChang Winter Olympic Games and to facilitate developing the Olympic legacy in general. 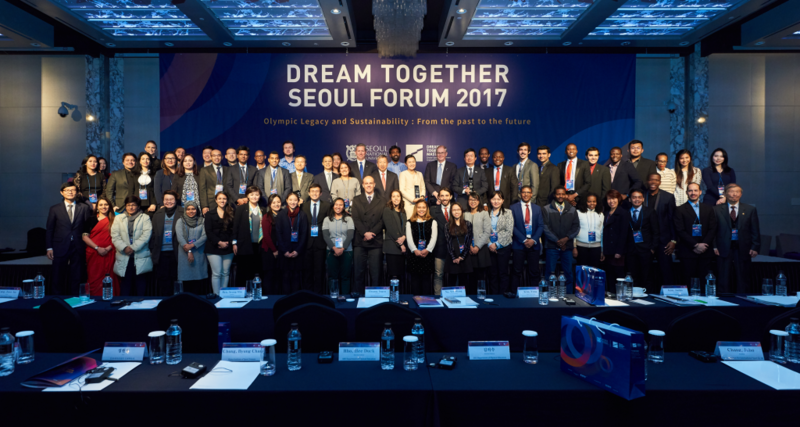 Olympic legacy has been misunderstood, under-evaluated, and less-developed. 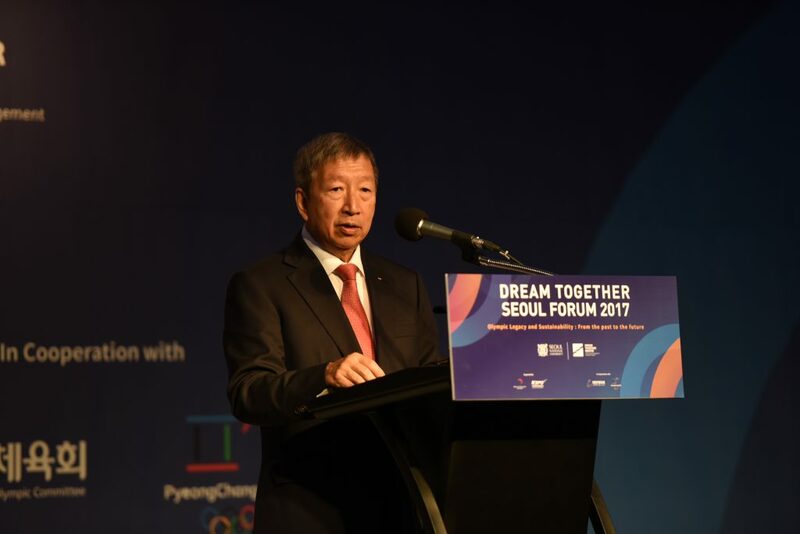 Therefore, this year’s forum aimed to retrospect past Olympics which have left successful legacy including 1988 Seoul, 2010 Vancouver, and 2012 London Olympics and to figure out the direction for the legacy of the future Olympic host cites including 2018 PyeongChang and 2020 Tokyo. 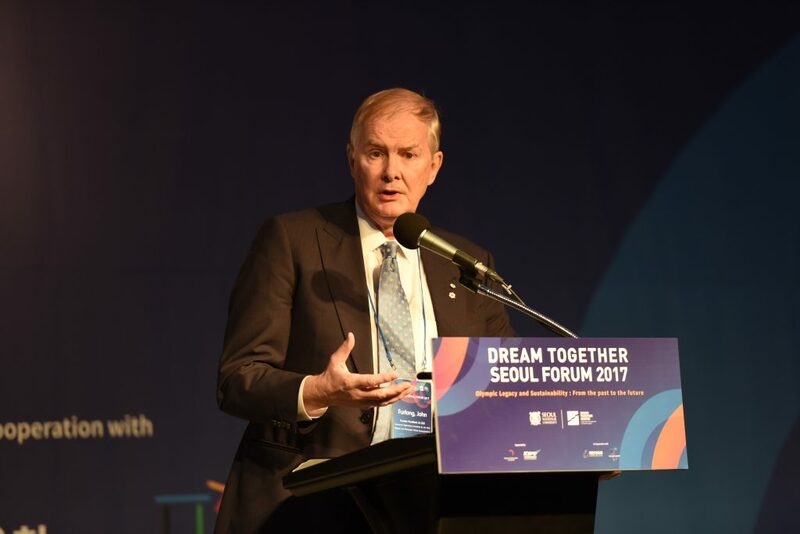 Distinguished speakers, Ser Miang Ng, IOC Executive Board Member, Jee-Chul Oh, Former Vice-Minister of the Ministry of Culture, Sports and Tourism, John Furlong, Former President & CEO of the Vancouver Organizing Committee for the 2010 Olympic and Paralympic Winter Games, Ben Fletcher, Director of Strategy, Marketing and Communication of the London Legacy Development Corporation, Jooho Kim, Vice President of the PyeongChang Organizing Committee for the 2018 Olympic and Paralympic Winter Games, Hiromi Kawamura, Public Relations Secretary of the Tokyo Organizing Committee for the 2020 Olympic and Paralympic Games, and Tania Braga, Head of Legacy of the International Olympic Committee, shared their experiences and insights.